What are you feasting on today? I have the day after Thanksgiving attitude of gratitude. A gift from the Lord this cold blustery morning. I received it from reading a book recommended by a friend, which allowed me to delve into the deeps of scripture. What joy comes from reading His word! It was if I was sitting at a Thanksgiving buffet with every delectable food of my favorite persuasion crossing my tongue. I kid you not, the Word was just that sweet to me today. It brought to mind the joy that I received over the past couple of days while baking and preparing food for our family’sThanksgiving dinner. I thought about those who would enjoy the food and the time of fellowship we’d have, much like I receive when sharing the gospel. A student from Marietta Bible College had messaged me in the midst of our feast yesterday to ask for prayer so that God would use her in a mighty way to minister to family she was spending the holiday with. She later informed me that she had the glorious honor and privilege of leading two new souls to Christ! Oh what a Thanksgiving moment. She had given them a “taste” of her God and they partook of her feast! Shouldn’t that be how we treat our responsibility of sharing the gospel. It tastes sooooooo good. Why would we not share it. Put on your praise today! In the book of Isaiah he was having one of those crazy praise days in chapter 61. No meal is complete without a little oil! As children of God we have the anointing upon us to grease the way for the gospel to be accepted. When my friend messaged me yesterday she did so because she knew the power of prayer to make the way where Satan would be striving hard to stop it. I see heartache in every direction this time of year. People are hurting, they’ve family estranged, they’ve lost someone to death, relationships are torn, families have problems and we have the sweetest gift to give anyone of them. It may not make the problem go away, but it will give the oil in their life that will ease them through the troubled times. Most of us have those favorite foods that bring into mind a sweet memory or an easier time of life. It may just look like food to some but to us it’s a sweet piece of comfort. For me that’s pie! I had a sliver of comfort for breakfast this morning in the form of Cinnamon Apple pie and a cup of coffee. And as much as I enjoyed it, it didn’t bring me a smidgeon of the comfort that I found in God’s word, which lead me to a reason to share this thought. We need to be as excited about sharing the comfort we find in God’s word as we are with sharing our favorite foods. In these troubling times people need to see the comfort we find in our relationship with Christ. (3)To appoint unto them that mourn in Zion, to give unto them beauty for ashes, the oil of joy for mourning, the garment of praise for the spirit of heaviness; that they might be called trees of righteousness, the planting of the Lord, that he might be glorified. I didn’t burn any of the Thanksgiving treats I baked this year, but something from a previous baking had dropped into the bottom of the oven and was charred into a piece of coal while my scalloped potatoes were baking. My husband was panicked that I was trying to burn the house down (ever the fireman that he is.) I assured him it was the old not the new, and so I removed the old and the sweet scent of the new was all that we smelled from then on. Past hurts and trials can certainly leave us burned. But Isaiah reminds us that God gives us beauty in exchange for the ashes. But we have to give him the charred remains of our burdens and with it He promises to replace it with joy and praise. The illustrations I shared were just a few moments in my real life that God used to remind me that I have a purpose on earth. And that’s to share not just the earthly gifts He gives, but above all the spiritual gifts so that He may be glorified and that my friends and family will be drawn in by the aroma of Christ in my life. Oh what a sweet savor and a sweet Savior! Thank God for what you have today and share that goodness with someone else! You too have purpose. The ACTS prayer method. I was reminded of it in a Pocket Testament League devotion yesterday, and today it was again on my heart, desiring that sweet Spirit of the Lord in my life. Have you felt it today, or has it been a while since you got that bubbling up in your soul so vast that you feel at any moment your mouth will fly open and the Holy Spirit will assuredly burst onto the scene? And then He does! His indwelling becomes an out pouring of praise of and gratitude for what He’s done in your life. It’s amazing! Tell Him how much you love Him and watch and feel as you are loved in return. We all know our short comings, for me they are many. What an awesome feeling just to clear the air with the Lord. He knows what we’ve done, but He longs to hear His children confess their sins and turn away from it and back to Him. Have you counted your blessings lately? It’s amazing and humbling when you start thanking God for all you have; especially when you look at the world around you and see the countless who have not. Our prayer list at church gets longer and longer, my own does too. There are so many people in the world suffering, who need someone to lift them up in prayer. For me it’s overwhelming at times. But like the blessings I have to name them one by one and not dwell on the fact that I can do nothing, but that God can do anything. Who has He laid on your heart today? ACTS. Such a small acronym with big results. I hope you’ll use it for your model prayer today and then let me know how the Lord blesses it! Where Would You Land This Thanksgiving? Pretty much on a daily basis, at some point, I throw my hands in the air and ask God why my country is governed by idiots? And then I remember that they were elected, and we are the idiots. I’m still at a complete loss of understanding why anyone thinks we’re going in the right direction. Liberal or not, Democrat, Republican, Independent, Mountain or Valley Party (Yes I know there’s not a Valley Party, but there should be, because who better to argue with the Mountain than a Valley) And we know that politics is all about argument not solution. My way or highway. Truth? And so it was that our nation began on the same principal. A brief study of the original settlers, and I mean brief, because my attention span is not long enough to study history at length, proves that we’re no better or worse than the day we landed. The Jamestown Settlers and those of Plymouth Rock pre-defined the nation. There were those who sought the world and those that sought God and today we have the same dilemma. Joshua told Israel in Joshua 24:15 “And if it seem evil unto you to serve the Lord, choose you this day whom ye will serve; whether the gods which your fathers served that were on the other side of the flood, or the gods of the Amorites, in whose land ye dwell: but as for me and my house, we will serve the Lord. The flesh side of me would like to make this a political rant this morning, but the condition of America doesn’t fall in Washington’s bailiwick. It is we who are accountable for not telling them Who it is we serve. Instead we’ve allowed them to dictate to us that we are in service to them; even though we all know from historical truths that that was never the way government was intended to work. Godly cooperation and collaboration is key to the church’s success. There is no I in team. Don’t play church, It is not a social club or political party, it’s a relationship with Christ and your ticket to the New World! Messed Up and Blessed Up… Happy Thanksgiving! Old Testament sacrifices were a temporary fix in more ways than one. Not only did there need to be another sacrifice another day, that sacrifice wasn’t going to last through the day. Igloo coolers weren’t in business nor was Frigidaire, so the sacrifice needed to be eaten right then. Tomorrow it wouldn’t be any good. Whatever the circumstance around you, be at peace. I know, easier said than done right? Not if you determine that that is the ways it is. Satan can turn the entire day upside down but if your heart is right side up, looking up in gratitude and taking note of all you have, peace can abound. Be thankful today. It may be a family feud, a burnt turkey or spilled pumpkin pie kind of day, but be thankful. Be thankful the same day for what you have, for tomorrow it may be gone. Someone noted on Facebook this morning that there were some empty place settings at family tables. Don’t take the day for granted. Don’t leave it until morning. Don’t put off telling someone you love them, mending fences or sharing a treasured thought with a family friend. Sometimes it’s a sacrifice on your part to open your heart up in such a way, believe me when I say it won’t go unnoted or unblessed. Remember that though heartache and blessing alike are temporary, the sacrifice Christ made on the cross was forever. I just about let Satan steal my gratitude today. Thank you who are reading that encouraged me to write on until I reached this place. What place? Remembrance. That the ultimate sacrifice was made so that I could have that sweet peace 365 days a year, even though I’m so very “messed up,” I’m also very “Blessed up!” God bless you and your family this Thanksgiving. I pray it’s filled with love, laughter and safe travels. But I am like a green olive tree in the house of God: I trust in the mercy of God for ever and ever. I will praise thee for ever, because thou hast done it: and I will wait on thy name; for it is good before thy saints. It’s Sunday. I’m humbled and grateful that I can go into the house of Almighty God and be used by Him in the manner for which He chooses. The world doesn’t understand the grandeur of being in the presence of He Who created the earth, else the house would be full today. Like David, I too want to be like the olive tree in the house of God. A fruit bearing tree that God looks upon with favor, planted and rooted by the river’s edge and soaking up the Water of Life. As I read through scriptures this morning related to the olive tree, its importance in biblical history was evident and so was my need to reflect upon it. In Leviticus, Chapter 8, Moses anointed the tabernacle, the vessels, and the people who were used of God in service. If this morning you are found in the service of God you need to understand the importance of having that fresh anointing that comes through the Holy Spirit; whether it’s the nursery, the music, the sound booth, the pianist, or the Pastor, each one needs the anointing of God upon their lives to reach the full potential and effect that God desires in a service. A church service is not an afterthought. Much preparation is needed to usher in the Holy Ghost. Preachers and teachers study, the people pray, those in service study their chosen field of service so that they may do it well and orchestrate the service in a manner that pleases God. I fear that the excitement in many services today is only a fraction of what it could be because it was a fraction of time that was given in preparation. I know I speak truth, because I’ve seen the effect of my fraction of time in times past. In Leviticus Chapter 7, verses 11-12 the various offerings of Thanksgiving were “mingled with oil.” Whatever it is that you bring to the table this morning in the house of the Lord needs to be “mingled with oil,” an attitude of gratitude for what the Lord has done in your life. Thanksgiving can also mean confession (of sin, of faith in response to God’s goodness and mercy that He’s extended to you) of the blessings in abundance we take for granted. One thing certain to get the attention and presence of God in your life and in your service today is a humble thankful heart. Isaiah 1:6 says ~ From the sole of the foot even unto the head there is no soundness in it; but wounds, and bruises, and putrifying sores: they have not been closed, neither bound up, neither mollified with ointment. Believe me when I say I understand the wounds of ministry. I’ve got a few battle scars of my own. But there is one thing for certain; if you do not apply the healing balm of the Word of God your wound will stay infected with the world. You see, I also understand that whether a wound is self-inflicted, saint inflicted or sinner inflicted, it hurts just the same. But in reading and hearing of the Word of God there is soothing that occurs and mends that brokenness in a supernatural way. I can’t explain it, I just know its truth because I’ve experienced it. 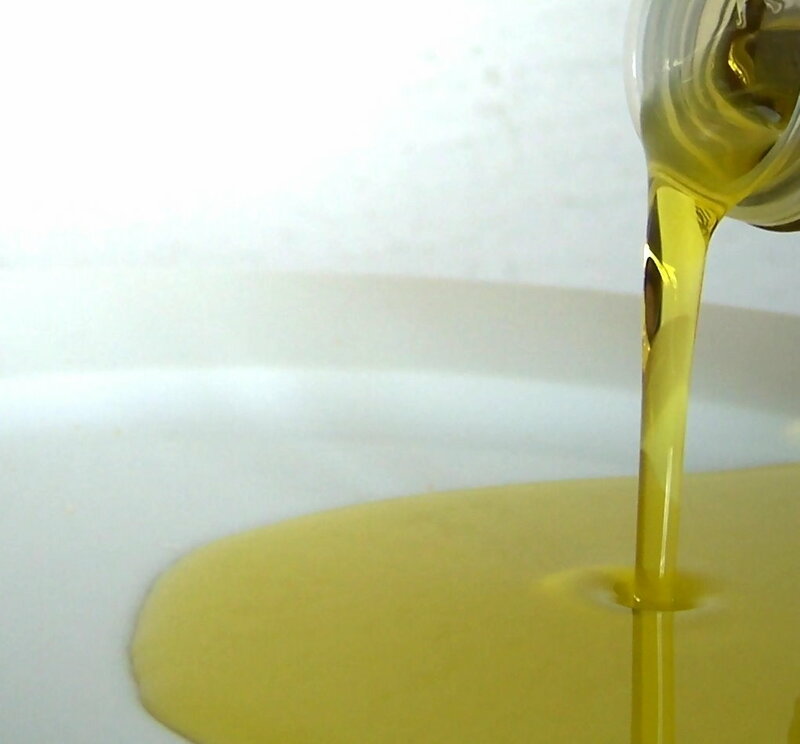 I hope you experience the fatness of the olive tree anointing in your life today. I pray that from the beginning to the end of your day your thankful heart will feel the Holy Spirit flooding your soul with His anointing. If there is pain in your life I pray that you feel the balm of Jesus healing that brokenness and that your servants heart will be restored. ~ Blessings! From the Jesus Chick.